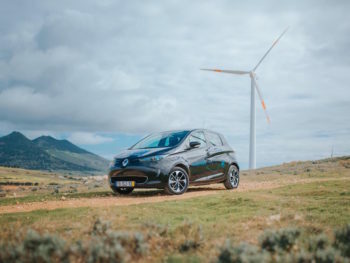 Renault has signed partnerships with European energy firms that will bring a number of innovations to help drivers transition to electric vehicles. They include a cooperation agreement with French energy firm EDF that covers a three-point plan for energy transition. Firstly, the two firms will develop cross-marketing solutions based on EDF’s Mon Soleil & Moi self-generated solar power service and the smart charging of Renault electric vehicles. Renault and EDF will also expand the carmaker’s work on creating ‘smart islands’. The carmaker is already rolling out this concept – which sees a system of electric vehicles, second-life batteries, smart charging and V2G deployed to boost an island’s energy independence – in Porto Santo Island (in the Portuguese archipelago of Madeira) and Belle-Île-en-Mer in Brittany, France. This concept will be expanded to non-interconnected French territories alongside EDF SEI, the EDF department in charge of public power services in French overseas departments/territories and Corsica. Meanwhile Renault has signed an agreement with Total and smart charging specialist Jedlix for a ZE Smart Charge offer to be launched in the first half of 2019 in France. This is based on the Z.E. Smart Charge smartphone app, which manages charging to maximise use of renewable energies and benefit from low electricity prices, paired up with a 100% green electricity supply provided by Total Spring. Users are rewarded for being more flexible. Groupe Renault and Total are also working together on battery-charging infrastructure and energy supply to bring down the cost of charging. Renault is also working with Enel X, a subsidiary of Italian energy firm Enel, to develop charging solutions. This will initially cover the smart charging of electric vehicles through Enel X’s JuiceNet platform based on a pilot study in Italy intended for subsequent roll-out in other markets. Other points of focus include expansion of charging infrastructure, supporting the installation of new infrastructure under EU projects like EVA+, a network of fast charging stations across Austria and Italy, and facilitating access to existing charging points thanks to digital apps such as ZE Pass Renault.